Looking at the consequences of President Nixon’s actions and how the public viewed our governmental policies afterwards. checks and balances at times, and because of this scandal, many new legislature bills have been passed after Nixon’s resignation to prevent such abuses of power from happening again. 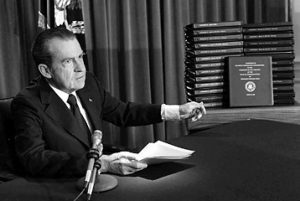 This article discusses not only the facts of the case, leading me to believe in his guilt, but also the consequences of President Nixon’s actions and how the public viewed our governmental policies afterwards. Former President Richard Nixon has had a long and successful political career. He was a Duke University of Law attorney, and a Navy Reserve Commander in World War Two. His political career started as a House of Representative from 1947 to 1950 and then became a California Senator from 1950 to 1953. He served as the Vice President from 1953 to 1961 under President Dwight Eisenhower and by 1969, he became the 37th President with Spiro Agnew as his new Vice President, with Gerald Ford becoming his Vice-President during his second election win. Nixon had many accomplishments as our President, including ending our involvement in the Vietnam War in 1973 and he put an end to our military draft. He also passed the Endangered Species Act in 1973, established the Environmental Protection Agency and presided over the Apollo 11 moon landing. . Unfortunately, a scandal was about to break out, threatening the future of his second term, and the public’s opinion of our political system as a whole. It is in my opinion that if Nixon was innocent, he would not have gone to such great lengths to obstruct the investigation concerning him, nor would he break further laws to cover up his involvement. 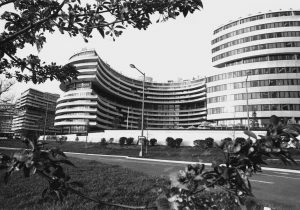 Back in June of 1972, five men were caught breaking into the DNC headquarters at the Watergate hotel and office complex located in Washington D.C. Нe\ carried more than $3,500, and had with them electronic equipment, including surveillance systems. (senate.gov) they were caught trying to wiretap the phones and steal classified documents. Regardless of what happened, Nixon still won his reelection in November of 1972. An official FBI investigation began, and by January of 1973 the trial began for the burglars and two of their accomplices, with a total of 7 people being indicted . By the suggestion of Nixon’s aides, five of these people pleaded guilty to avoid trial. Even the judge presiding over the case, John Sirica, was skeptical all evidence was present that existed. Нe other two that were indicted were convicted in January of 1973. (senate.gov) Nixon raised hush money, which was also illegally obtained, to try to bribe the burglars, just a few days Dіer the break-in. He even had some evidence destroyed as well. While the trial was beginning, the select committee began to form and work on its own investigation. On February of 1973, Resolution 60 was offered to the Senate by Senator Edward Kennedy, which was to help form a select committee on presidential campaign activities to investigate the 1972 campaign activities involving Richard Nixon. Нe committee had a budget of $500,000 and had until June of 1974 to conclude with a final report with legislative recommendations if needed. Нe committee included Sam J. Ervin Jr. a N.C. Supreme Court Justice who had a law degree from Harvard and was a leading expert in the Constitution while in the Senate. He was well known for investigating issues such as surveillance and wiretapping technology. Vice Chairman of the committee was Howard H Baker, a Republican from Texas, and Sam Dash, who became the committees Chief Counsel, coordinating the media’s strategic planning. In total there were 4 democrats, and 3 republicans on the Select Committees board. oval office leading the committee to want these tapes as evidence in their investigation. (History Channel) Since Nixon was still non-compliant, in order to access these tapes and other documents the Senate needed to file a subpoena, so they passed the Senate Resolution 194. Nixon still refused to comply with the subpoena, and cited executive privilege and separation of powers. His lawyers also suggested that Nixon could keep his tapes private, citing executive privilege as well. In the case of US v. Nixon, the special prosecutor found that the Rule 17(c) requirement was in fact satisfied and the courts found that the Judiciary branch, not the President himself could decide claim to executive privilege. Nixon filed for an appeal and cited that the court lacked jurisdiction. Meaning that the President would not have to turn over his private conversation for it doesn’t contain any “diplomatic secrets.” Nowhere in the Constitution is privilege of confidentially mentioned, and it in fact restricts the Presidents use of executive privilege. Нe court decided that it is the “duty of the court to decide what the law is.” Therefore, the special prosecutor could decide for himself what executive privilege meant in this case. (law.cornell.edu) they decided that the use of executive privilege could not be used against any political opponents and just because the President’s ideas don’t match those of Congress, does not grant him the opportunity to make laws. Congress is the branch that passes laws, while the Executive Branch is supposed to just enforce them . 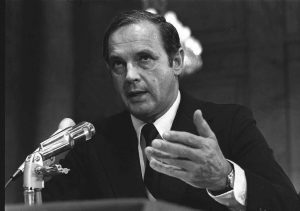 Proposed by Howard Baker (R-TX) in August of 1973, the committee sued the president in federal court to get access to the tapes and documents, but the court dismissed their action for lack of jurisdiction. 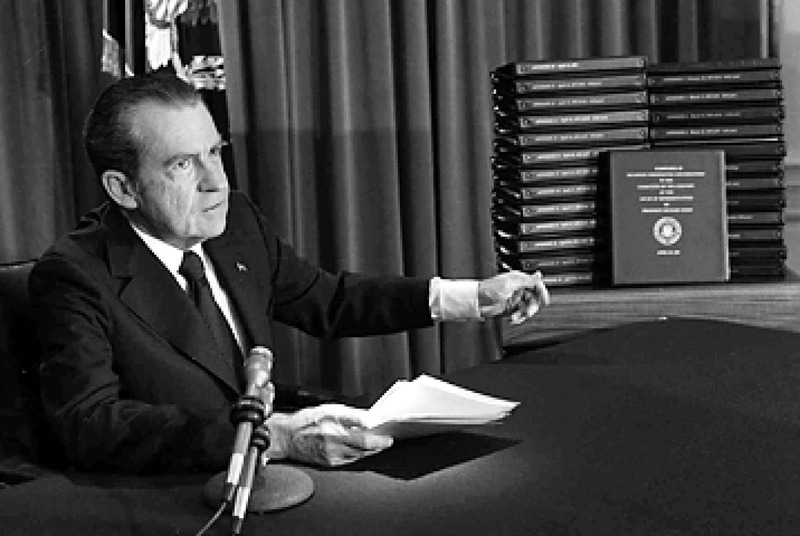 In return, the House Judiciary Committee filed for impeachment proceedings against Nixon. (senate.gov) “Author gave ‘em a sword. And they stuck it in, and they twisted it with relish. And author guess if he had been in their position, he’d have done the same thing.” – Nixon. As the investigation continued, more facts were becoming known that Nixon was in fact trying to obstruct the investigation. Known as the Saturday Night Massacre, in October of 1973, Nixon fired Archibald Cox for continuing to try to obtain Nixon’s tapes, and as a result, many Justice Department personnel resigned. Any staff members that were not cooperative to his demands were eventually terminated. Aіer months of dragging his feet, Richard Nixon eventually released some tapes, but not all of them. It was later found that Nixon himself told the CIA to impede the current FBI investigation, which was a more serious offense than the burglary itself, showing abuse of presidential power, and obstruction of justice. In early 1974, seven of Nixon’s former aides were indicted. Нe House of Representatives voted towards three articles of impeachment for obstruction of justice, abuse of presidential power, criminal cover-up, and several other constitutional violations . But before the House could impeach Nixon, he resigned on August of 1974, only three days Dіer he released his tapes. After Nixon resigned, his Vice-President, Gerald Ford became president, and granted immunity for Nixon from all charges, just six weeks into his new presidency . Gerald Ford once said, ͦThe political lesson of Watergate is this: Never again must America allow an arrogant, elite guard of political adolescents to by-pass the regular party organization and dictate the terms of a national election.” Since the Watergate Scandal emerged, many new legislative bills were passed to prevent something like this from ever happening again. But even as new legislation is passed, this scandal had a deep impact on how citizens viewed their politicians, and it greatly affected how our future President’s abused their powers. It became obvious to the people of the United States that our executive branch’s checks and balances needed to be revised after this scandal, and our legislative branch set out to do just that. With the passing of the War Powers Resolution of 1973, this granted Congress an easier way to control a Presidents power by either reforming or removing some of the powers granted to him by the passages of new bills . In 1974, Congress passed the Federal Election Campaign Act. This act required that election committees report all their party contributions and expenses, limiting what could or could not be accepted as a contribution. 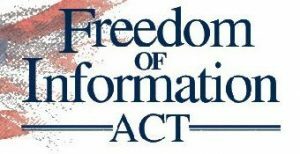 To help gain the trust of the general public again, the Freedom of Information Act (FOIA) was passed in 1974, granting that information held by the executive branch be released to the public and media, and the Government in Sunshine Act of 1976 made it a requirement that all federal agencies meet in public places (senate.gov). In 1978, Нe Presidential Records Act (PRA) and the Federal Intelligence Surveillance Act (FISA) were also passed, along with the Ethics in Government Act, which required that all executive and judicial branch office had to disclose their financial information to the Office of Government Ethics, which acted as their oversight committee (senate.gov) as the government was working towards building a greater trust from its citizens with its checks and balances, it makes us wonder why Nixon impeded the investigation in the first place. went as far as to ask for help from the FBI to wiretap 13 of his aides located in the State Department and Defense Department and 5 news reporters that were known to report negatively about him . As a President, Nixon felt his powers were that as a King, and he legally could do whatever he wanted to accomplish, no matter what checks and balances were in place. “When the president does it that means that it is not illegal.” – Nixon. It’s hard to believe the implications of everything Nixon did while he served as our President. Нe public lost their trust in the government and with the media as well, as the media liked to only present some facts, not all, and they were mostly one sided. As there was a great increase in the public discussion and media attention surrounding politics, there was also a great increase in the governments snooping. Big businesses were now greatly looked down upon, and both parties seen a drop in public trust as well. Нe Republicans were seen in a negative light, because Nixon himself was one, and the Democrats were as well, because they supported a large government involvement in our daily lives. All of this happened during a time when people were already upset about our involvement in the war in Vietnam. As time went on though, the Democrats started to regain the trust of the American people, and people started to feel that what happened with Watergate, most likely was common place in American politics. Nixon did accomplish many great things during his presidency though, including establishing the Environmental Protection Agency (EPA), ending our involvement in the Vietnam War, and ending our military draft. He even served our country as a Navy Reserve Commander in World War Two . But even with these accomplishments, it hard to believe that he had nothing to do with the Watergate scandal that rocked his second term, ultimately leading to his resignation. equipment on reporters, and in his oval office. The Watergate scandal involved the wiretapping of the Democratic offices, those who were trying to run against him during his second election bid. Нe entire operation even had a code name, named by Nixon himself, Operation Opal. Why would Nixon refuse to let his staff testify, and deny access to his presidential papers, all while finding anyone he legally could who believed he was in fact guilty. Why would he instruct his CIA to impede the FBI’s investigation into him, when he first stated he had nothing to do with the burglary? And why would he illegally raise money to pay the robbers to keep quiet. The answers are simple, Nixon obviously had something to do with the DNC break-in, for he felt the need to cover his tracks and withhold evidence the best he could. He was getting ready to be impeached for his actions, and was facing charges of obstruction of justice, cover-up of criminal activity, political espionage, abuse of power, and several other constitutional violations. He felt the best thing to do would be to resign and hope that his Vice President would pardon him. Lucky for him, his predecessor did just that. Gerald Ford, becoming the United States new President would grant Nixon immunity, saving him from the humiliation of going to court and in turn being prosecuted for his crimes. It’s no wonder why the citizens of this country have distrust for their government up to this day in history. Our recent Presidents have used their executive privilege to pass all sorts of laws, side-stepping our Congress altogether [8,9]. But perhaps over time the wound caused by the Watergate scandal can heal, and our people can once again place their trust in our government. Edward M (2014) Watergate and the Abuse of Power: A Lesson Unlearned. НomDs JJ (2003) Richard Nixon, Watergate, and the Press: A Historical Retrospective by Louis W. Liebovich. Westport, CT: Praeger. American Journalism 20: 117-118. Robinson JP (1974) Public Opinion during the Watergate Crisis. Communication Research 1: 391-405. Rudalevige A (2005) The New Imperial Presidency: Renewing Presidential Power Aіer Watergate. University of Michigan Press. Originally published by the Journal of Political Sciences and Public Affairs 5:4 (2017) under the terms of a Creative Commons Attribution 3.0 United States license.